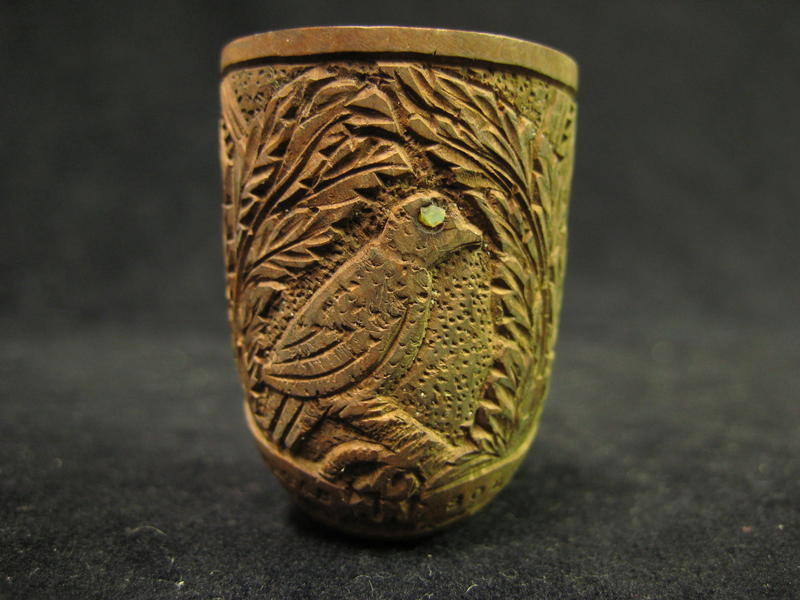 Carved tobacco smoking pipe. Wood is intricately carved with Maori designs and the Mounted Rifles insignia at the foreground. The Medium is Wood and Bakelite. This page will be updated in November. Hi. Thank you for your comments. The stem of this pipe is made from Bakelite which was developed in 1907-1909 and was the first plastic to be made from synthetic components. It was famously known by its marketing slogan "The Material of a Thousand Uses", due to the fact that it would not burn and would not melt. It was used in many applications from fountain pens, light switches, telephones and electrical insulators to name just a few. Distinctive for its dark colouring, it was increasingly in competition with other plastics from the 1930's and 50's as these new plastics could be coloured in any colour you wanted - a distinct advantage over Bakelite. It's possible the mouthpiece is original. Cellulose plastics were made in the late 1800s, while Bakelite was invented in 1909 and was used in some smoking pipe mouthpieces from the 1910s. 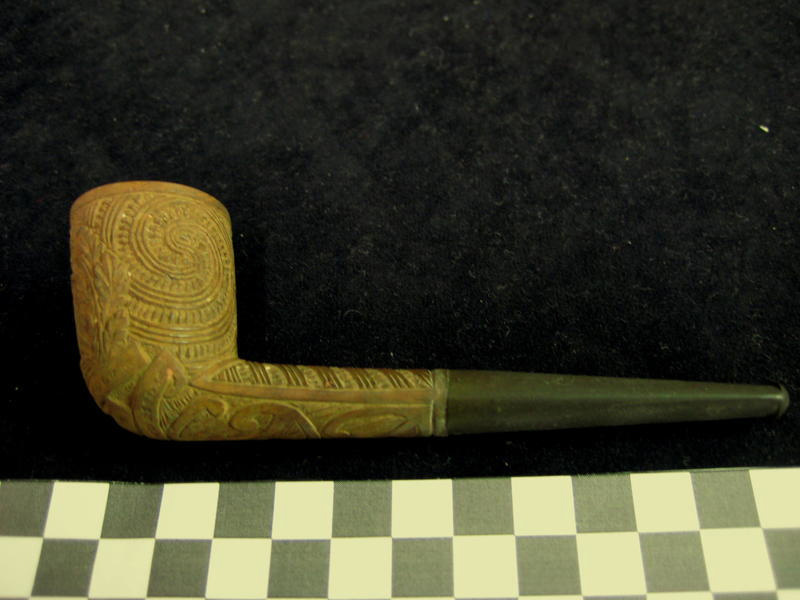 This is certainly a nice carved pipe, I would like to question the plastic component if it is from 1918?? Or is the mouthpiece replaced at a later state?